I wanted to take some time today to kind-of piggyback off of Rekka’s recent post, Learn the Science, Not the Rules. This is an important point, because a lot of folks seem to look at Keto as some kind of a magic formula: do x, y, and z to a tee, magic happens, and you will wake up tomorrow looking like Wonder Woman or Captain America. I’ve referred to this before as the Underpants Gnome strategy. It’s important to understand that keto is not magic. It is a process, and one that is highly individual. The human body is an incredibly complex organism, and no two are identical. As has been stated before in this space, everyone has to continually evaluate his or her own progress and goals along the way, and adjust as needed to suit their own biology. I’m two years in and have lost what I wanted to lose. I started off in a size 20 W (women’s plus size, for non-US shoppers) and am now in a 4 petite. My weight loss journey was, frankly, relatively easy when compared with many. My great friend, Coach Linda, calls herself “The Queen of Turtles” because it’s been so slow for her. It took her two full years- and a LOT of tweaking- to lose as much weight as I lost rather effortlessly in six-to-eight months time. Regardless of how slow she’s lost, Linda has figured out how her own body works and kept it up to reach her goals. So my body doesn’t work the same way Linda’s does and, in the end, that’s ok.
My friend, Coach Mary, is a fasting champ! She can go for days without eating, and hit the gym hard during that time, and still be teeming with energy. I, on the other hand, am hangry and tired when I try to intentionally fast. Sure, I can skip meals easily when I’m not hungry. But if I purposely set out to fast, it’s a miserable experience and, because I’m not looking to torture myself (or my poor family, who all have to deal with me when I’m mad or annoyed), I don’t bother with it the vast majority of the time. Once again, my body doesn’t work like Mary’s, and that’s perfectly fine. Most recently, I’ve been training to run my first 5K. I’ve never been athletic, and since I struggled with a lot of respiratory issues pre-keto I’m having to fight very hard not just to keep my legs going, but to increase my lung strength along the way. What has struck me pretty hard is how much I’ve had to adjust the way I keto since adding in this kind of endurance exercise. During my weight loss, everything just kind of fell into place; I was able to eat very intuitively while managing to keep my carb and protein levels in check, and the weight just fell off. Now things are different, and I’ve had to reconfigure almost everything I was doing that had worked so well before. At first I struggled with protein. After I had been running a few weeks, I found myself ravenous, shaky, and annoyed. No matter how much I increased my fat intake, it didn’t go away. 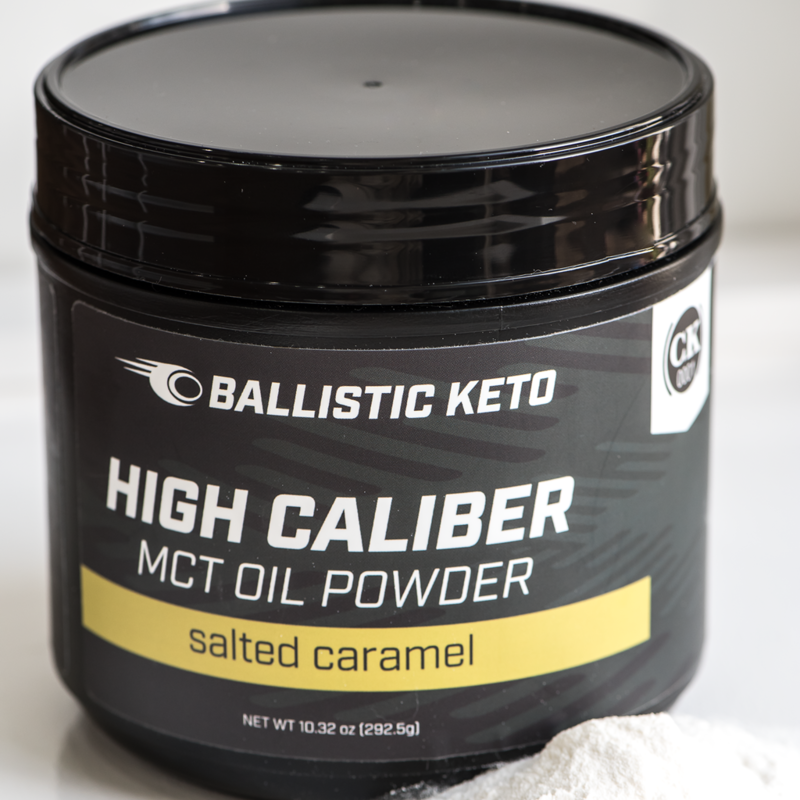 So I consulted with some of the excellent folks in our Ketogenic Athlete group on Facebook, as well as our own Danny Vega, and decided I needed to experiment with consciously upping my protein range from 50-55 grams a day to more like 70-75 grams a day. Sure enough, the shaky, starving feelings stopped. The next challenge was eating more consistently. Even though I rarely intentionally fasted, I also rarely ate a morning meal because I was simply not hungry. Coffee with cream or MCT oil was enough to keep me satiated until lunch. Not so now. While I still don’t always eat breakfast, I’m finding myself doing so much more often since I began running. I’m hungrier when I wake up, and that cup of fatty coffee just doesn’t satisfy me. And so, not only do I eat breakfast more often, I’ve been more vigilant about eating more consistently in general so I don’t get to a place where I’m hangry. I’ve also had to really be on top of my salt and electrolyte intake. Other than a short stint quite some time ago where I was overdrinking, I’ve never had trouble with salts as long as I made sure to liberally sprinkle some on my food at meal times. Now, I’m finding that not only do I need to add electrolytes to the water I bring with me on my runs, I’m having more success keeping those minerals in balance when I actually take the time to measure out my 2 tsp of salt and make sure to use it all over the course of my day. Through all of this adjustment and re-learning, I’ve been frustrated on-and-off. I can look around me- at the other admins or coaches, or folks in the athlete group- and I see people who aren’t struggling at all with exercising, and are fasting for days on top of it all. More than once I’ve wondered if there was something wrong with me, and it occurred to me recently that those thoughts are probably very much like the people who struggle with just doing basic keto or are “slow losers.” While it is very tempting- even for me- to dwell on how my body isn’t working like these other folks’ bodies are, I find myself constantly being reminded that no two bodies are alike and that what works for them may not work for me in the same way. Coach Linda is always telling people, “Don’t measure your progress with someone else’s yard stick,” and while it may sound a little cliché, I’ve found quite a lot of wisdom and truth in that little nugget. Even over two years into my own Ketogenic lifestyle here I am, Ketovangelist Coach Mandy, having to tweak and experiment and learn my lifestyle all over again. It happens, even to “experts” like me, and it’s all ok. If you find yourself, for one reason or another, struggling with keto it’s going to be alright. Yes, you may have to play around to find your own “sweet spot.” And yes, you may get annoyed or frustrated that someone else isn’t having the same problem. Just remember that keto is not magic, and your body is not someone else’s. Our fearless leader, Brian Williamson, is always saying, “You do you,” and I think that’s right on. You have to do you: don’t be afraid to tweak and experiment to find what works for your body, and in the meantime, don’t spend a lot of time dwelling on other people’s progress. Every body is different, and you have to find how best to treat yours.